Call us sentimental, but we can't resist feeling extra-proud when a local blogger really nails a creative collaboration. And that's exactly the case with Garden of Glam's Eden Raskin, who dreamed up an amazing three-part men's fashion series featuring two dancers from the Alvin Ailey American Dance Theater. 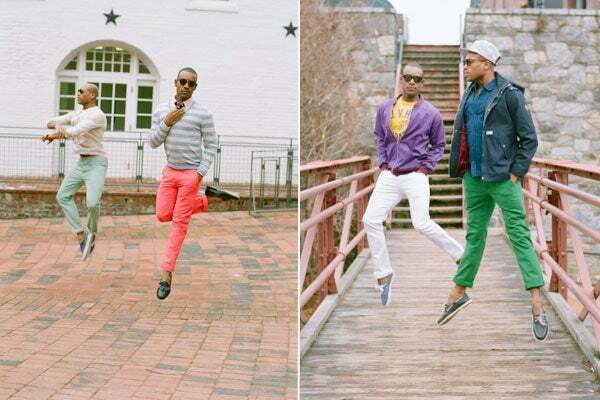 Outfitted in spring duds from Buffalo Exchange and local streetwear brand DURKL, dancers Kirven Boyd and Antonio Douthit show off some major moves in iconic Georgetown locations — even if you're not a men's style buff, you'll appreciate their artistic skill and physical prowess. We highly recommend scoping out the full series of posts here, and passing 'em along to any guy pals in need of a little (flexible) inspiration before spring arrives.